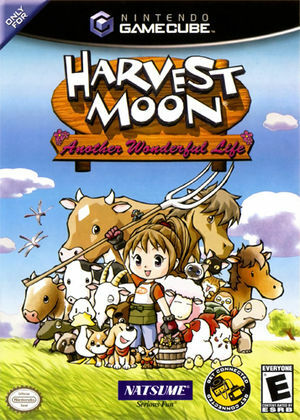 Harvest Moon: Another Wonderful Life is a Nintendo GameCube game developed by Marvelous Interactive Inc. and is part of the long-running Harvest Moon series of video games. The game offers connectivity with the Game Boy Advance game Harvest Moon: Friends of Mineral Town and Harvest Moon: More Friends of Mineral Town. A remake of Harvest Moon: A Wonderful Life, Harvest Moon: Another Wonderful Life offers a new female protagonist, changes to the storyline, and some updated items and gameplay. Stops working between Chapter 1 and transition to Chapter 2. Unplayable after year 1. The graph below charts the compatibility with Harvest Moon: Another Wonderful Life since Dolphin's 2.0 release, listing revisions only where a compatibility change occurred. This page was last edited on 4 February 2018, at 02:22.